In the Water2Life program run by Grundfos employees, more than 80 Water2Life ambassadors around the world volunteer to actively take part and help fundraise for a hospital in Honduras that requires a new water system to serve its 80,000 patients per year. Kristine is one such volunteer, and she came up with the idea of selling unique necklaces for charity. 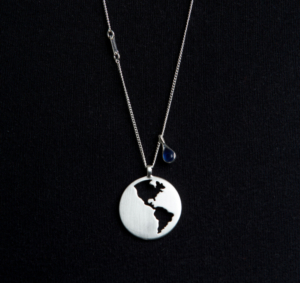 In collaboration with the Danish company Pilgrim, Water2Life designed a necklace, that instantly became a bestseller for the employee program. Kristine presented the concept for the Water2Life coordinator Jesper Richter, who was keen to the idea and quickly located the necessary ressources. Four months later 400 necklaces had been sold, and 300 are now in backorder. 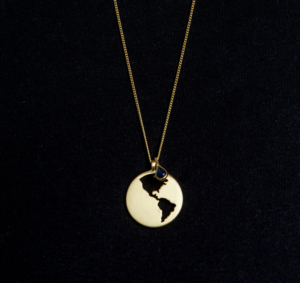 The necklace with the little blue water drop and the two American continents have become a hit throughout the entire organization and is a great example of how the employee program works. “Because Water2Life is an employee program based on donations, voluntary work and passion from Grundfos employees around the world, it is important to empower the employees to succeed. We need to give our colleagues the means to pursue an idea within the Water2Life framework. The hospital project is estimated at a cost which would require $30.000 in employee donations. Grundfos doubles the amount Water2Life donates. A local NGO partner, Watermission International, in charge of execution of the project, matches the total amount provided by Grundfos. This means that approximately 120,000 dollars will be collected for the San Isidro project in Honduras.